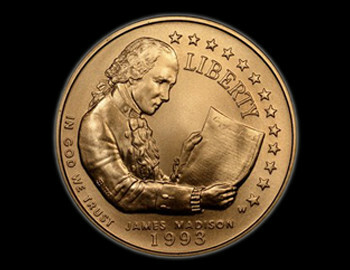 Born on 16th March 1751 to James Madison Sr. and Nelly Conway., James Madison Jr. suffered from epilepsy. At 5’4 and 100 pounds, he was often described as ‘small’ ‘quiet’ and ‘shy’ person. Yet this “small’ guy graduated from Princeton University and mastered over subjects like Greek, Latin, Hebrew, Political Philosophy, and Law. This ‘quiet’ guy reshaped American History by becoming a political theorist and American Statesman. This ‘shy’ guy became the fourth President of United States and served not one but two terms in the White House. James Madison, ladies and gentlemen, was an enigma.